MONTREAL -- Quebec students who staged a memorable series of protests last spring could see their efforts result in a roughly 80 per cent discount on planned tuition hikes. The Parti Quebecois government has tabled its plan for tuition increases, a long-awaited development in a political dispute that rocked Quebec last year and was dubbed by students as the Maple Spring. The plan involves indexing university tuition by three per cent a year -- which amounts to about $70 annually. That is sharply lower than the $325 yearly hikes sought by the previous Liberal government, which then adjusted the proposed increases to $254 per year, over seven years. The planned hikes prompted huge and often rowdy protests, with the PQ siding with the student protesters ahead of last suumer's election campaign. Premier Pauline Marois then cancelled the Liberal tuition increases after taking power. 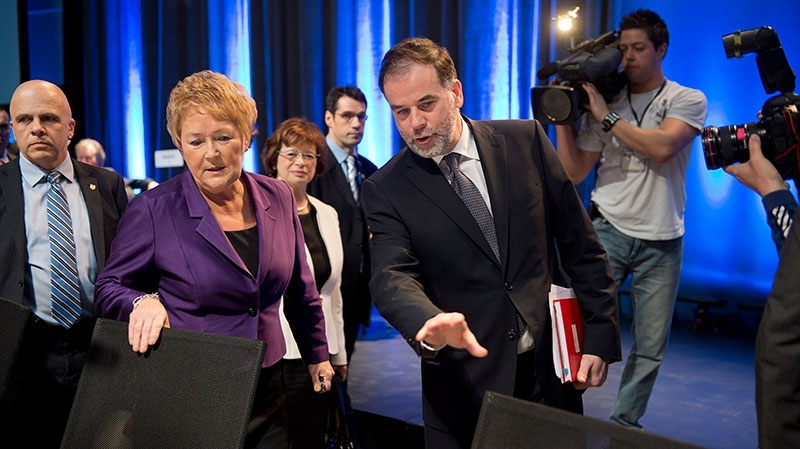 The PQ made the indexation announcement on Monday on the first day of a long-awaited education summit in Montreal. "This proposal strikes us as the fairest one for society," Marois said. "The financial burden for students would remain stable and several measures will be implemented to reduce the impacts, which are already minimal, of the indexation." Education Minister Pierre Duchesne called the three per cent indexation a "form of compromise" and added that free tuition in the current economic climate cannot be envisaged. Whie the PQ's annually indexed hikes would be far smaller than the former government's proposal, some student federations strongly oppose such a measure. The Marois government had already indicated its preference for indexing tuition increases at a rate somewhere between about $45 and $80 per year, per student, depending on the formula used. Martine Desjardins, leader of Quebec's largest student federation, said last week it was too early to know whether her members would be prepared to strike over indexation increases imposed by the PQ. On Monday night, she said her federation was "extremely disappointed." "We would have expected the government to do its homework before proposing ready-made solutions based on opinion polls in which the population says it's in favour of the government proposal," said Desjardins. A survey published in a Montreal newspaper on Monday suggested that indexation tied to inflation was by far the public's favoured option for the government to handle the tuition situation. Another student spokesman was just as downcast after the three per cent announcement. "If the government isn't ready to reinvest in universities before 2014-2015, how can it ask students to increase their contribution beginning next year?" asked Tierry Morel-Laforce, vice-president of a federation representing university students. "The question is simple. Is the government making a choice for the future of universities or a choice that is strictly driven by electoral reasons?" It was clear from the heavy security at the summit Monday that memories of the sometimes-violent 2012 student protests were fresh on the minds of authorities. Steel crowd-control barriers, a gauntlet of security checkpoints and bag searches greeted participants at the Montreal building housing the event. A late-afternoon demonstration that attracted a few hundred participants was broken up by police about two hours after it began. Two people were arrested for undisclosed reasons. Inside the venue, the discussions were courteous. School administrators, politicians, student leaders and social groups outlined their visions for Quebec's post-secondary education system, talks that explored topics such as university funding and financial aid for students. Outside the building, police officers circled the neighbourhood on bicycle, sat in vans packed with riot gear and discreetly kept watch over the area from the shadows of residential doorways. The streets around the hall were quiet early in the day, except for some 20 professors protesting tuition hikes. A small group of demonstrators -- some of them were wearing masks -- gathered near the building for a short time before leaving. It was in stark contrast to the months of Quebecers marching in the streets last year. Marois navigated the treacherous political issue during the recent election with a promise to create a new tuition policy after holding an education summit. But some student groups were disappointed and decided to boycott the summit because they believed the new government was tuning out some of their ideas. One of those federations, the more-radical ASSE, wants free tuition and is planning a protest to coincide with the conclusion of Tuesday's summit, even though its support appears to have weakened since 2012. Trouble unfolded far from the summit site. 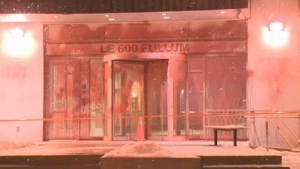 Hours before the start of the conference, vandals splashed the doors and windows of the Montreal offices of Quebec's Education Department with red paint. The Montreal-area offices of other prominent PQ members were also targeted Monday, including those of Duchesne, International Relations Minister Jean-Francois Lisee and Leo Bureau-Blouin, who was a key student leader during last year's crisis. The PQ courted Bureau-Blouin before the election, and at 20 years old he became Quebec's youngest-ever MNA. "Of course, it's not good news, but I'm really focusing on the public policies that we're discussing right now," Bureau-Blouin said inside the summit venue. "I think that this is not representative of the climate that we have here. It's really a calm climate, people are discussing positively." Bureau-Blouin said the tight security around the summit was likely due to a combination of concerns about student protesters and Marois' safety. The premier was delivering her election-night victory speech in September when, only metres away, two people were shot -- one fatally -- by a gunman. "Since what happened in the last months, I know that the security has been reinforced around Mme Marois and the different ministers," he said. "But again this should not dismiss the fact that we have some really great public policies that we are analyzing and how we can have a better structure for our universities." Bureau-Blouin, who led a more moderate student federation last year, said he took to the streets for the right to be heard by the government. He thinks groups like ASSE should be at the table as well. "It's really a collaborative way of solving problems, but it's their right to protest and it's part of democracy," he said. In her opening speech Monday, Marois acknowledged she didn't expect the summit to solve all the differences over higher education. She called on participants to maintain a constant, permanent dialogue on the issue, even after the event ends. 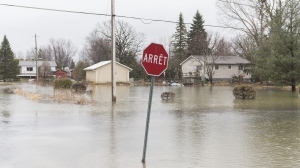 "This exercise does not aim to resolve everything in a few hours," Marois said. "We will continue to work together Wednesday morning. The summit is an occasion to re-establish the dialogue, to rebuild bridges, to re-weave the links between us." Many areas of concern are being discussed at the summit. Student groups participating in the event are calling on the government to improve financial aid for students. University administrators, meanwhile, say they need more funding to maintain the quality of higher education after the government cut their budgets in December by $125 million in 2012-13 and again in 2013-14. The Marois government introduced several other ideas Monday, including the creation of a council for universities that would consult the Higher Education Department on teaching and research. Political opponents, however, said Monday they hope the summit turns out to be more than a government PR stunt. Interim Liberal leader Jean-Marc Fournier said he didn't know where the Marois government was going to find the money to maintain the province's universities, after the PQ cancelled his party's proposed tuition increases. "The reality is we need to have quality in our system," Fournier said. "For that, we need to have money in the system." He said Quebec students pay about 12 cents out of every dollar in the university system. "Already the taxpayer is paying a lot," he said. "Does he have to pay everything? I think it must be something (where) there's equity." Quebec, Canada's most-indebted province, has the lowest university tuition in the country. Even though the Liberals' proposed hike would still have left Quebec with some of the lowest tuition in Canada, many students insisted they opposed the increase out of fear it would further limit access to higher education. The Education Summit began with vandalism, but few protests.